Pianist Nicholas Bryant didn’t appear to have a chance on a television talent show — but he had a surprise waiting in the audience. 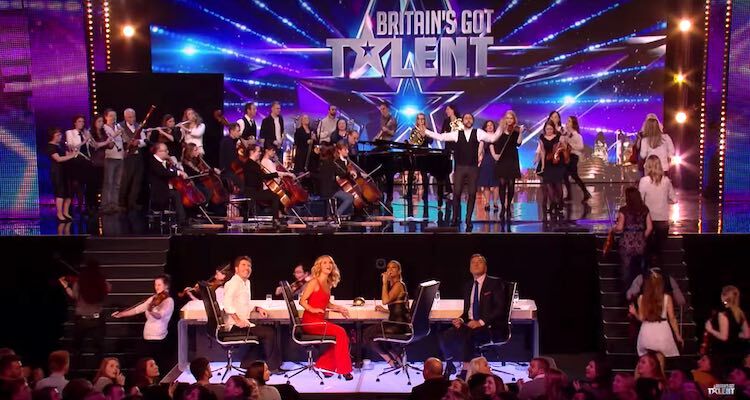 He started off shy and awkward playing his own arrangement of a Queen song, and just as it appeared that the Britain’s Got Talent judges were about to lose interest, the tempo changed and a flash mob of musicians and singers popped up from every corner of the theater. The look on Simon Cowell’s face alone is worth watching. (WATCH the video above from Britain’s Got Talent) — Photo: Britain’s Got TalentFlashmobs are the Best! Share This Brilliant One….